Pre-register online here - your appointment will go faster. If a medical accommodation is required, or your child has a disability, documentation must be provided. 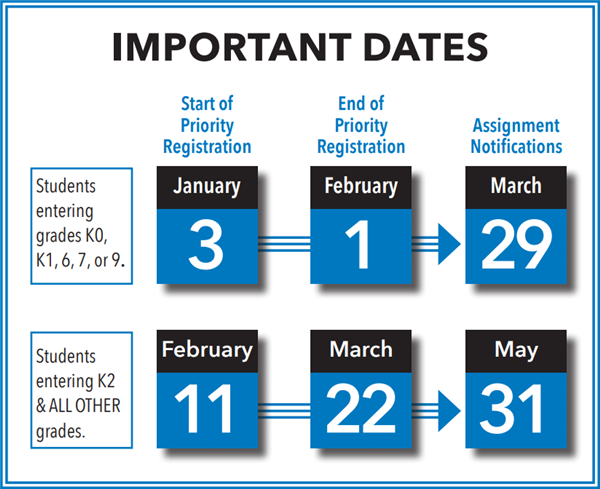 Please Note: Families who register in February through June for both current and next year seats are not guaranteed to keep the current school year school placement for the next school year. The information provided on this sheet will give you a better sense of which schools and programs were ranked the most frequently during the registration period for the previous school years. You can use this information to find out the approximate chances your student has to get into the schools and programs of your choice.